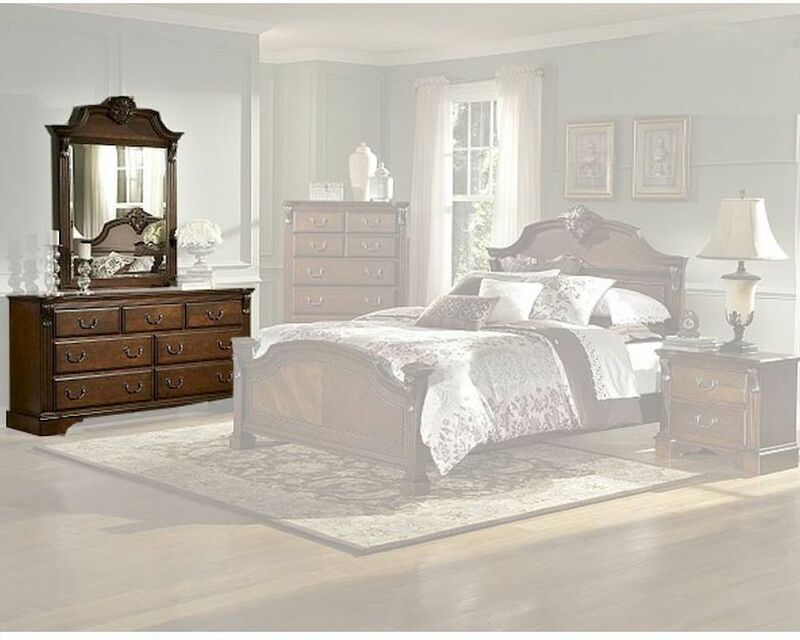 Personifying sophistication and bold elegance, the dresser with mirror from the Legacy Collection by Homelegance has an attractive design crafted from cherry veneers for a sturdy, durable make. The warm cognac finish enhances the design aesthetics and lends a quaint charm to your settings. 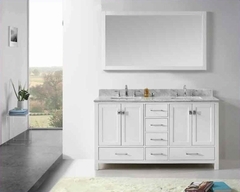 The dresser has metal glide drawers with antiqued brass hardware for added style and functionality. The vertical mirror is set in a beautiful frame with an opulent crest that sports acanthus and tobacco leaf carvings while the matching pilasters on the mirror frame and dresser case lend grandeur and sophistication to the design.